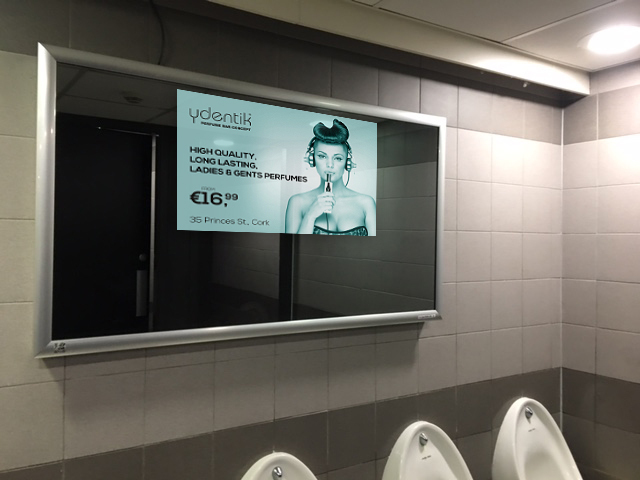 We, are delighted to introduce the truly innovative Smart Admirror to the Irish Market. Admirrors allows users to download and update content to each unit, or to a network of units, virtually in real time – and without the need for expensive cabled network systems. 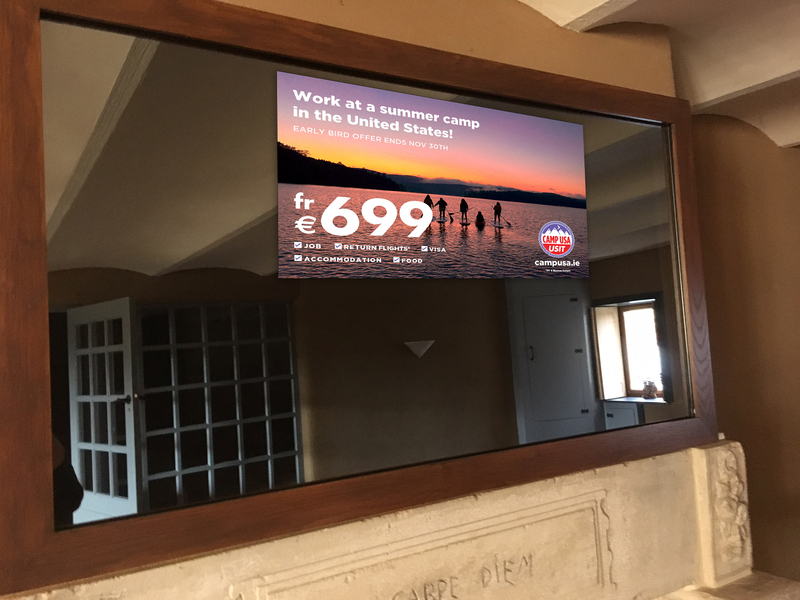 All that is needed is an on-site Wi-Fi network to avail of this cost effective way of communicating with key target audiences. In the absence of a suitable Wi-Fi network, our units can make use of dedicated modems from our development partner, Vodafone, that will allow for full functionality at a small additional cost. Our dedicated Content Management System facilitates content management to each unit, and in this way content is always current, targeted and engaging to viewers. Admirrors can facilitate still imagery, text, video, social media and news streams (using RSS feeds).